Transitioning to life outside of treatment is difficult. Significant changes in an individual’s life take place in early recovery that can be overwhelming. First and foremost, the body is still adjusting to not having drugs and alcohol in its system. Changes are taking place in living arrangements, geographic location, routines, thinking patterns, beliefs and emotions. Treatment centers generally recommend that clients are transferred to a sober living house upon discharge and have access to continued care with outpatient clinical services. 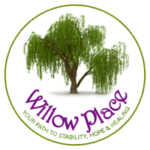 The structure and routine provided by a halfway house coupled with the therapy and healing provided by continued clinical care, makes the major changes that take place in early recovery less overbearing. This makes it easier for women to keep their focus on putting in the hard work that is required to overcome drug and alcohol addiction and recover. The Lilly Pad of St. Augustine follows the continuing care plan provided by the referring substance abuse treatment center. Every resident is responsible for adhering to their aftercare plan set by their treatment center’s trusted clinical team who has worked with them intimately from the start. Women enter with a plan and The Lilly Pad of St. Augustine provides the structure and accountability to, not only assist with the follow-through, but build upon that foundation with new set goals as women move forward on their journey to recovery. If you or a loved one is interested in our program at The Lilly Pad of St. Augustine, we encourage you to reach out! You will be connected with one of our directors who are available 24/7 to answer all of your questions about our recovery residence. When an application is filled out and submitted through our website, we review the application and contact you via the phone number provided. Our staff is dedicated to assisting every recovering addict or alcoholic who calls find placement into a sober living residence. Everyone deserves a chance, even if that means finding a location other than ours. Our mission is to support any person willing to make a positive change in their life find access to the help they need. If you are ready to make the choice to enter a safe sober living program, or want more information about The Lilly Pad of St. Augustine, call us now! Have Additional Questions About Our Admission Process? Have Questions About What You Can Bring To The Lilly Pad?